The spinner performs really great! My longest spin time (using R188 bearings) in 2:41 seconds… which is great for such a lightweight spinner. Why?!? 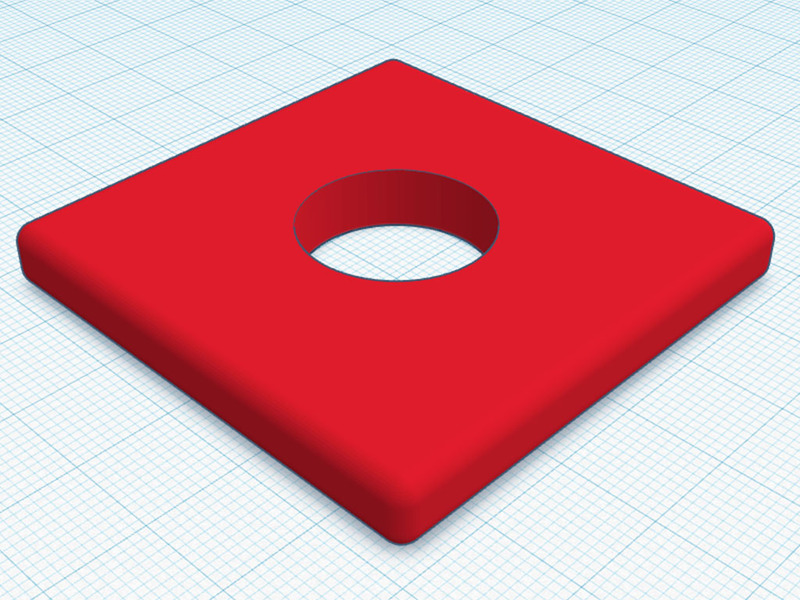 I saw some people turning cubes (mostly 3x3x1’s) into spinners, but I liked the idea of making a real spinner that simply looked like a cube (kinda). I’m sure this has probably been done before, and if I’m knocking off someone else’s idea then I apologize. You are welcome to contact me here or you can also find me on Facebook. It will accept a normal fidget spinner 608 bearing… a cheap back tri-spinner works nice with the black caps. Gans Air cube stickers fit really nice since the cube dimensions (width) match and the Gans air has a circular center. You can purchase any of my extensions in a kit (with stickers) from Oliver’s Stickers. 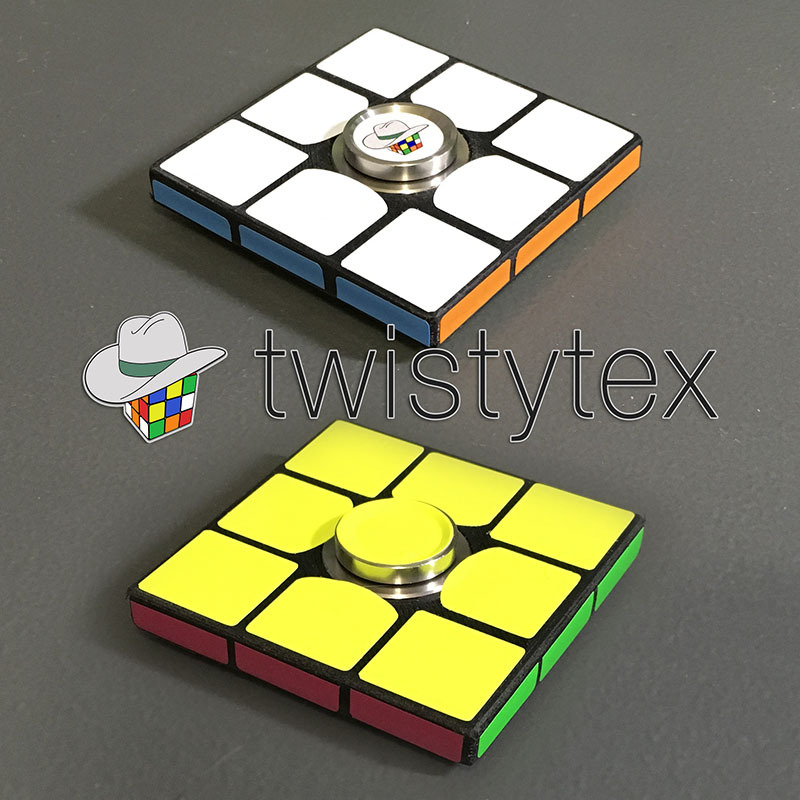 Rubik’s Cube Themed 3D Printable Fidget Spinner Core by TwistyTex is licensed under the Creative Commons – Attribution – Non-Commercial – Share Alike license.